Your cosmetic surgery is over. You’ve been healing for a week or so and by now, you might even have your stitches out. Now it’s time to get back to normal. But what about your appearance? 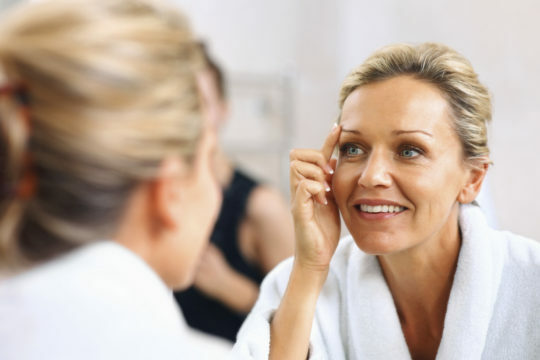 Although the cosmetic surgery or procedure will improve your look in the long term, you still have to get past the initial trauma to your body – things like incision scars, bruising, discoloration, or swelling. It takes time, but that doesn’t mean you have to hide in your house while it all goes away. It could take months, after all, for your appearance to reflect your cosmetic surgery’s purpose. Camouflage make-up can serve many purposes, depending on your personal situation. You may have make-up at home already that can be part of your camouflaging routine, such as liquid foundation or loose powder. Don’t start too soon after surgery, as camouflage cosmetics can cause problems if applied too soon. Your doctor can instruct you on what type of cosmetics to use, and when you can start applying them. For instance, if you have incisions, you will have to wait until your stitches are removed and the wound heals before you can start using this make-up. There are special cosmetics that are thicker than everyday make-up, which can be used under your regular foundation if foundation is part of your basic beauty routine. If you are choosing the make-up yourself, make sure it is fragrance free and hypoallergenic. Cleanse carefully: Every night, be sure to properly cleanse your face, removing all traces of any make-up. Certain camouflage cosmetics may require different types of cleansers for proper removal. Make sure you understand exactly what will be required to remove it all. Proper make-up removal should be part of your basic routine everyday anyway, but it’s especially important if you’re using heavier camouflage make-up.